SINGAPORE's decade-long push to become a hotbed for entrepreneurs is stuck at stage one. The city-state of 5.3 million people ranks No 1 in the world in ease of doing business and fourth in starting one, according to a World Bank study. It offers low taxes, easy-to-obtain seed money to start a business, and a well-educated, English-speaking workforce in the gateway to Asia. It just takes one day and $315 to register a business here. Yet, Singapore has struggled to attract international investment money for its own start-ups. Venture capital (VC) firms are put off by the small size of the market, lack of big ideas that can be a global success and an uncertain exit strategy. Only 50 out of 301 VC firms based in Singapore are interested in local investment, according to Asian Venture Capital Journal (AVCJ) research. Of the 70 high-tech start-ups that the government has invested in over the past two years, just 10 received follow-on private funding from investors locally and abroad, according to the National Research Foundation, the government arm responsible for research and development. "There is a real shortage of venture capital firms investing in Series A in Singapore," said Leslie Loh, an entrepreneur-turned-investor, referring to the first round of funds raised by start-ups after seed capital. "VCs are looking at countries like India and China where there is a larger domestic market." Only 2 per cent (about US$15 million) of the total venture capital investment in Asia is aimed at Singapore, according to AVCJ data for 2012. Japan, China and India topped the list of big VC investments in Asia. "In the early stage, there is a big push (by the government). But if you look at the whole ecosystem for helping companies grow, there is a gap in the growth stage," said Wong Poh Kam, a professor at the National University of Singapore's business school. "For a Singapore company to be able to achieve global success, it needs to have sufficient follow-on venture capital funding." Pampered by government funds at the early stage, when start-ups can tap up to $500,000 in grants, companies are finding it hard when they go looking for millions of dollars from VC firms for Series A funds. Of the 374 VC investments in Asia in 2012, Singapore accounted for just 24, according to AVCJ. "If there are no success stories, VCs do not think there is a compelling reason to be here," said Prof Wong. But that success depends on big money from venture capital firms, leaving start-ups stuck in a vicious cycle. Andrew Roth, co-founder of Perx, which makes a digital loyalty card application, said that one of the first questions that he heard from investors when he went looking for funding was: "What is your net operating income?" Mr Roth said that he would not have been asked that question if he was in Silicon Valley, where investors care more about the functioning of the product and its ability to gain scale. "The mindset has to change," said Mr Roth, who is currently in the process of raising a second round of funds from individual investors and funds. "It is a younger ecosystem so investors are so much more risk averse." Singapore start-ups are also forced to think globally right from day one as a product aimed at a small domestic audience is not going to bring them a lot of success. 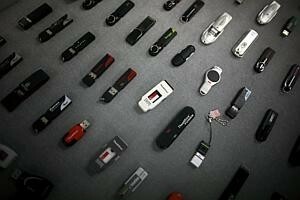 Henn Tan, head of Trek 2000 International Ltd, the company that introduced the ThumbDrive USB flash drive in 2000 and ranks among the few globally known success stories of Singapore, said that it is difficult for Singapore to produce entrepreneurs. "Because fellow Singaporeans are being subjected to regimented life from early years . . . there are too many rules and regulations for the young generation to think out of the box without being reprimanded," Mr Tan said. The problem of raising funds beyond the government-created cocoon raises the question of whether its involvement in the start-up scene is actually a good thing. Some think that the government initiatives allow undeserving start-ups to get easy money, while others say that the lack of private funds just proves that the government has to be active in providing a catalyst to start-ups and entrepreneurs. The government says that it needs to support start-ups at the early stage because that is where the most risk exists. "When the landscape is one which sees the vibrancy that you see in California and where multitudes of VCs have taken root and (are) able to manage a portfolio from early stage to growth stage to pre-IPO, then we can take a step back," said Low Teck Seng, CEO of the National Research Foundation. But he also warned against too much government involvement. "If the government funds what the industry thinks is not worth funding, then we will not be doing justice to public funds." Other than state-run or state-backed companies such as Singapore Airlines Ltd and Keppel Corp Ltd, the world's largest oil rig builder, there are only a few big home-grown companies from Singapore. There was Creative Technologies Ltd, whose PC audio cards, speakers and MP3 players were a hit in the early 2000s, but it fell out of favour with increasing competition. The company has posted 21 straight quarters of losses and voluntarily delisted itself from the Nasdaq in 2007.